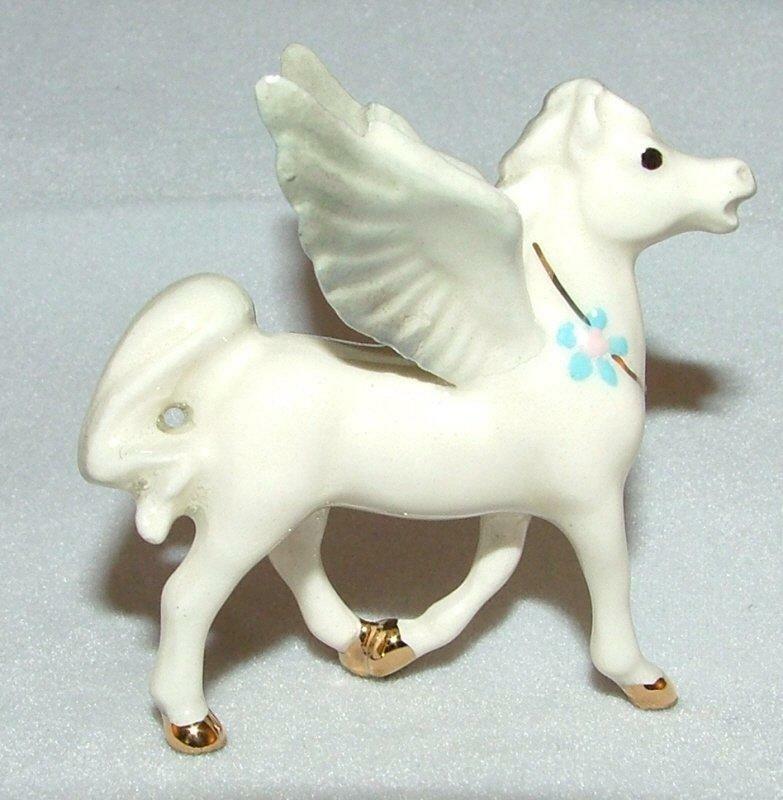 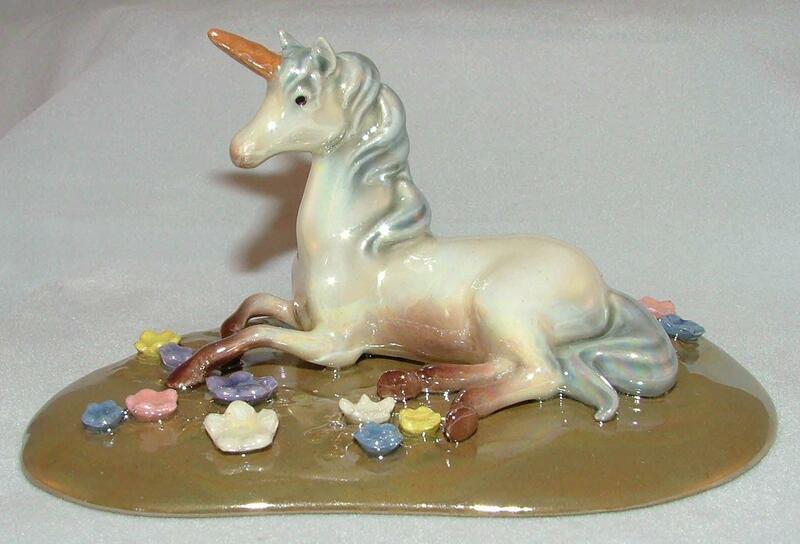 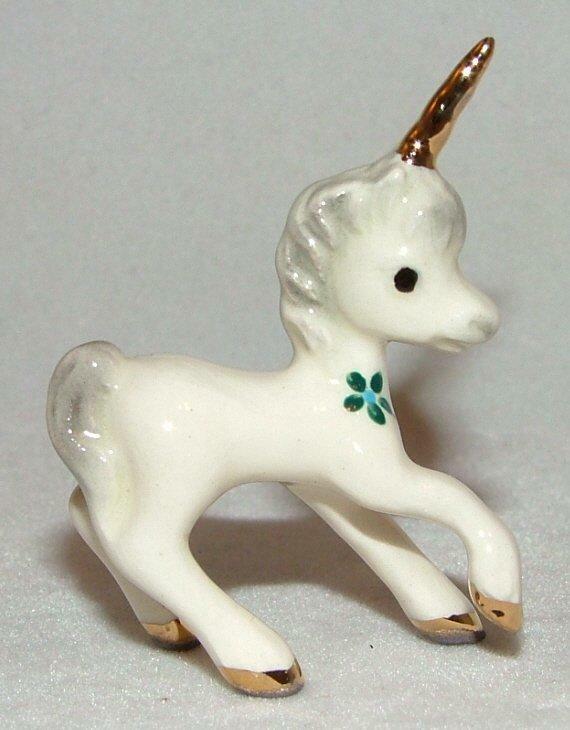 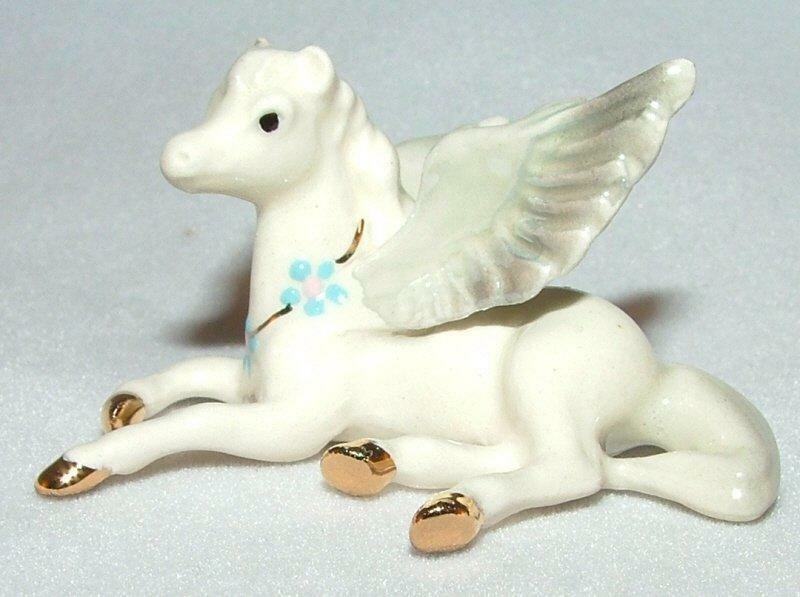 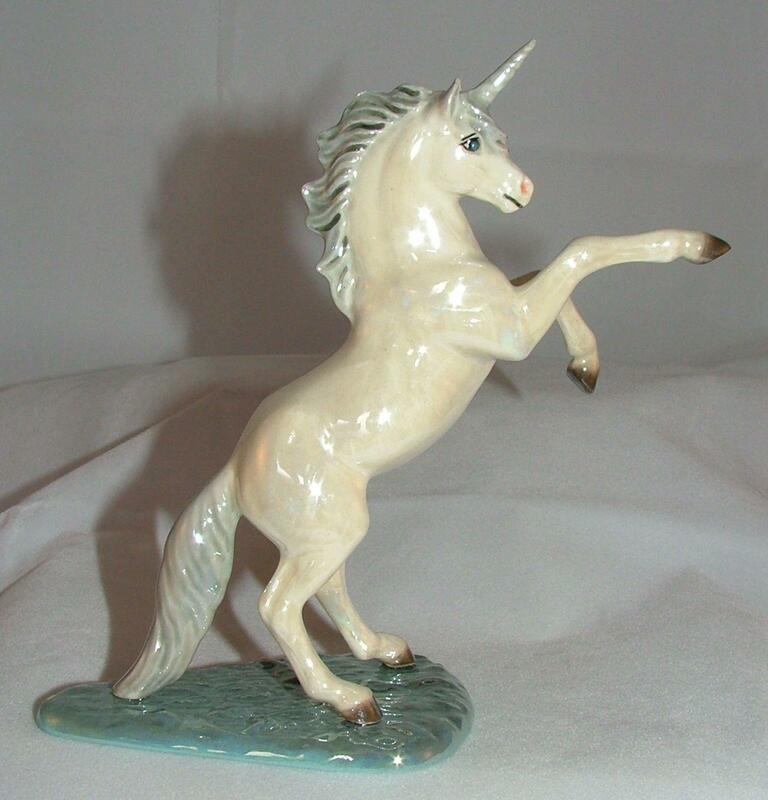 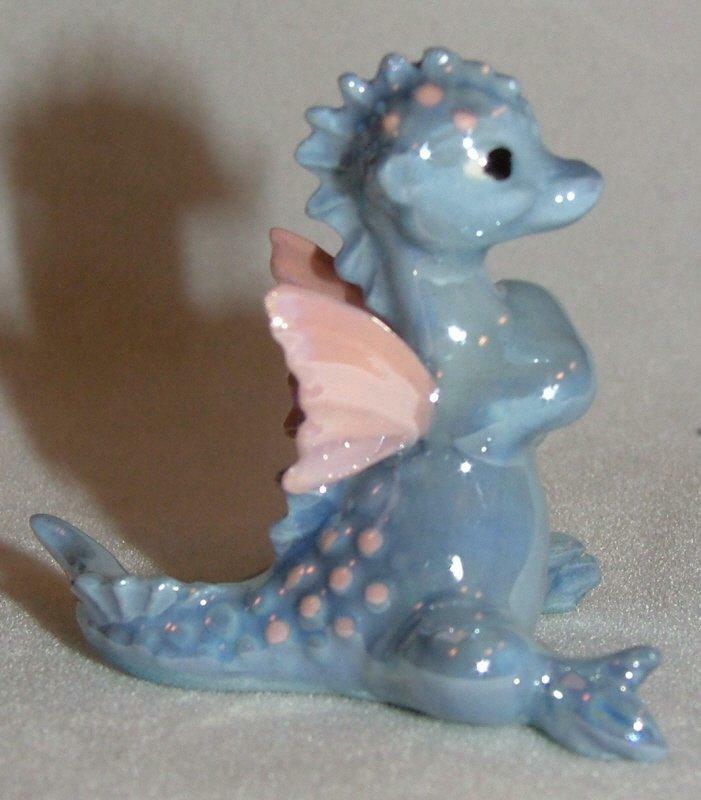 This little unicorn is from the Hagen-Renaker factory. 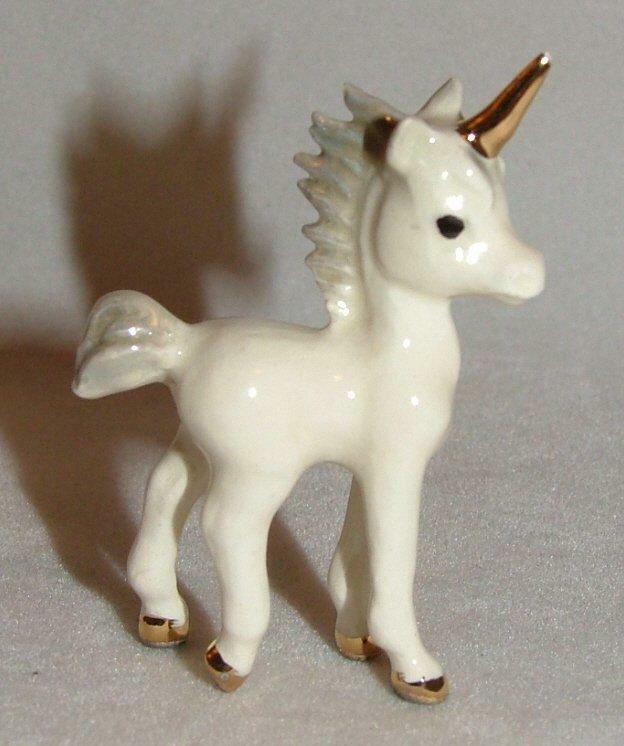 It measures approximately 14.5 cm high by 15 cm long (about 5.75 x 6 inches) and will make an excellent addition to any collection of miniature animals. 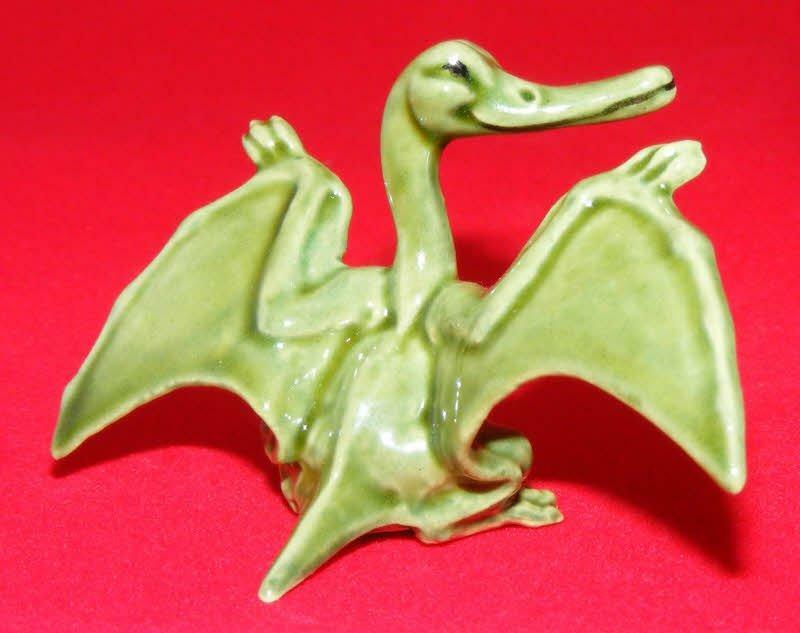 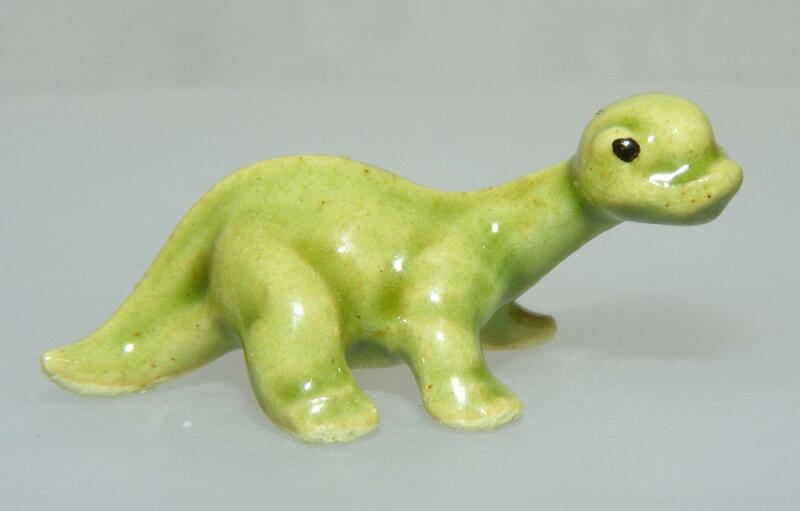 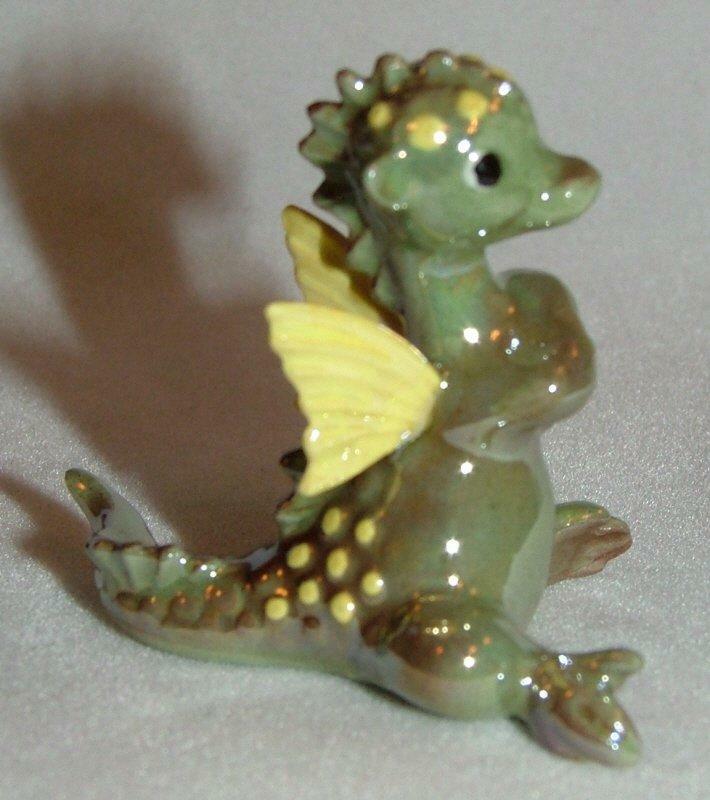 Hagen-Renaker have been producing miniature animal figures in the United States since the mid-1940s. 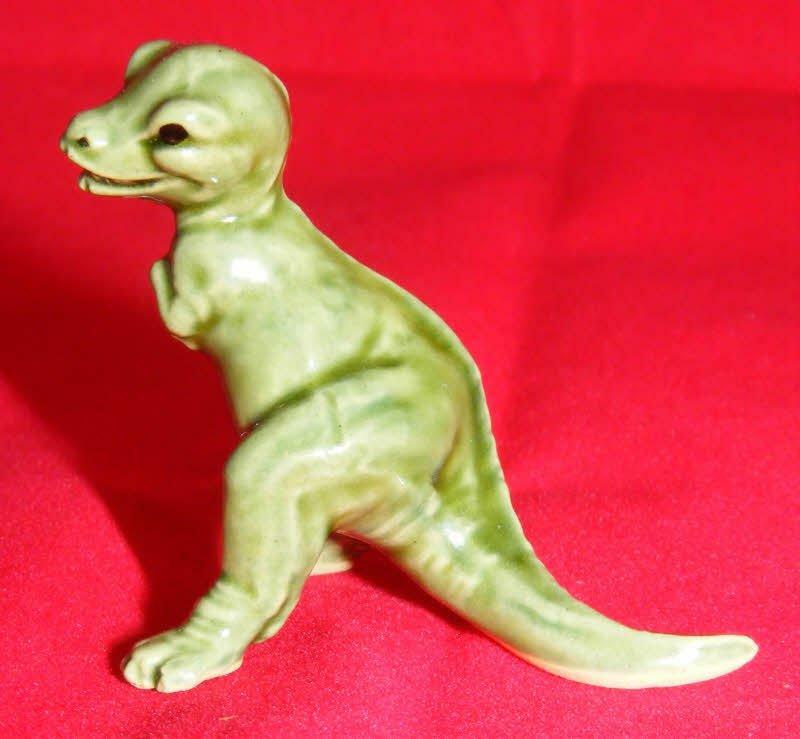 John Renaker, one of the founders of the factory, was a friend of George Wade of Wade Whimsies fame, and these exquisite little figures have been nicknamed the American Whimsies. 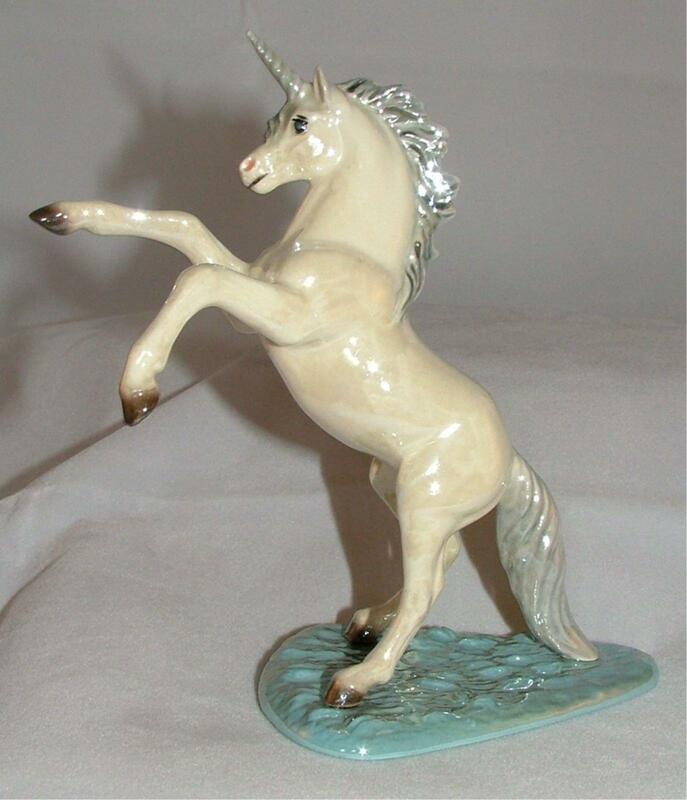 The factory produces an extensive range of animals, all beautifully modelled and with the delicacy of the early Wade Whimsies. 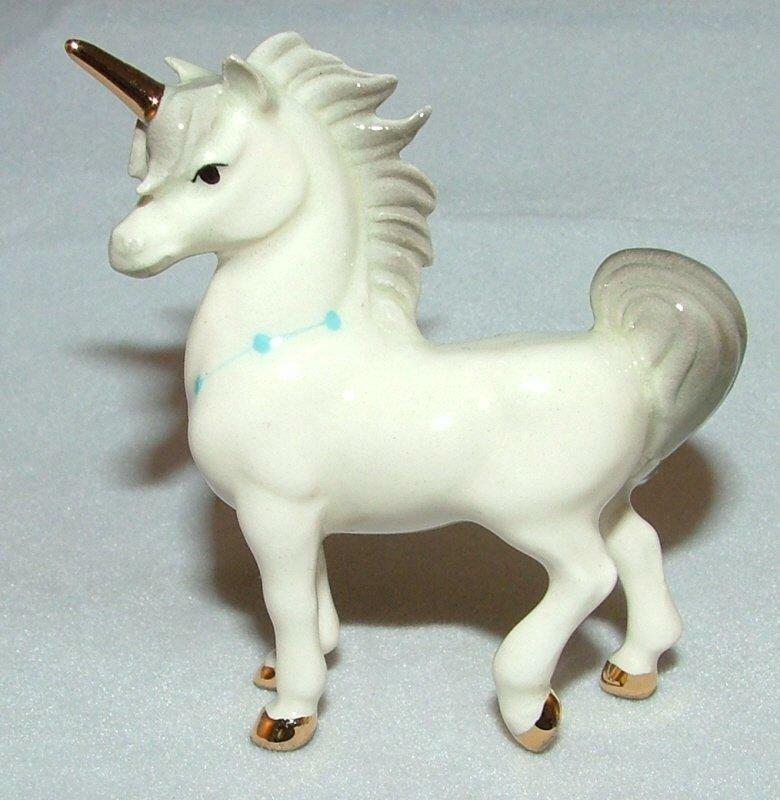 Their size and detail make these dainty little models extremely attractive and collectable.